We provide the best expert Google LG Nexus 5 repairs in Vancouver. Available in black, white and red, this device can be identified by its extra-large camera lens on the back. Ah nuts – your Nexus 5 took a spill and now there’s a nasty crack on the glass. But don’t sweat it because our team of trusted techs can perform the LG Nexus 5 screen repair at your location or at ours. Take your pick! Simply call 604-700-6049 to book a repair or take a stroll down to our Vancouver repair center. If your display is damaged or blemished, this is the repair for you! We can fix up your Nexus 5 at your location or at our Vancouver repair center - the choice is yours! Get your fix with the city's most trusted repair technicians. If your USB charging port is gummed up, jammed, broken or not charging your Nexus 5 properly, this fix is for you! Take your pick from having us come to you or simply swing by our headquarters in Vancouver for a quick turnaround. We'll have you plugged back into the hive mind in no time! If your battery is dying quickly or if your phone isn't turning on at all, it might just be time to replace it. The good news is that battery replacements on the Nexus 5 are pretty cheap and painless! Choose to have the repair done at your location or ours. Get your fix today! Helloooo??? If you can't hear anybody when you are talking on the phone with the device to your ear, you most likely need the ear speaker replaced. Get your Nexus 5 fixed at our Vancouver shop or relax and let us come to you. We got this! Are you having trouble with your volume or power buttons? Pehaps your Nexus 5 has the dreaded bootloop issue? Relax - we got this! This job is offered exclusively at our storefront location due to some intricate soldering work. Come on in and get your fix! Those Instagram photos don't get nearly as many likes when your camera glass is cracked. Thankfully, we can fix your phone up and get your social media life back on track. Get your fix at your location or at our Vancouver storefront. We got this! Did your Nexus go for a swim? Don't lose hope! There is still a chance we can resuscitate it back to life so avoid using it and bring it directly to our Vancouver storefront location at 245 W Broadway. Find a way to call us at 604-700-6049 if you have any questions and keep your fingers crossed! Your touch screen doesn't work properly! Frustrating isn't it? Thankfully, we can fix it by replacing the digitizer either at your location or at ours. Relax...we got this! Did your headphone jack get jacked? We can help! Get your Nexus 5 repaired at our storefront or have us come directly to you, wherever you like! You'll be back dancing in the streets in no time. If you're having issues with your main camera or the selfie cam, it can usually be fixed by replacing the camera. Get your fix at our Vancouver shop or have us come to you. Say cheeeeeese! If people are having trouble hearing you when you're making a call or if there is no sound during a video recording, you might need one of your microphones replaced. Get your fix at our location in Vancouver or have us come to your place. The choice is yours! If you are having trouble with wifi, bluetooth or cellular signals, we open up your phone and get to the bottom of it! This service is offered exclusively at our beautiful storefront location. Visit us at 245 W Broadway in Vancouver. If your Nexus 5 frame is dinged, scratched or even severely bent, we can replace it to make your phone new again! This repair also includes the front glass, touch screen and display screen. Get your fix at our Vancouver shop or have us come to you - you'll be glad you did. 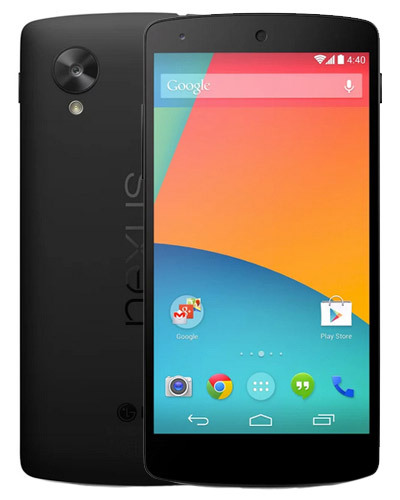 We can replace the back of your Nexus 5 pretty darn quickly! We recommend coming to our shop in Vancouver for the cheapest price but we can come to you too! Getting another repair at the same time and knock $10 off the price. Nice. Is your Nexus 5 repair not listed here? Perhaps you're even sure what is wrong! No matter - we are more than happy to find out how to fix your phone. Please find a way to call 604-700-6049 or visit our shop. Let's get to the bottom of this. Saw a Google Nexus 6P listed on Craigslist for $400. Loved it, but I had battery issue kind of early on. They honored their warranty and replaced the battery. It works like a brand new phone. Thank you GoMobile, I love my 6P! Awesome customer service.